We were very fortunate last month to trial an event at the most stylish bar in Newcastle - bar Livello, situated on lower Dean Street just up from the busy Quayside bars and just down from the bustling 'diamond strip'. A perfect location, but more over ,an amazing venue. 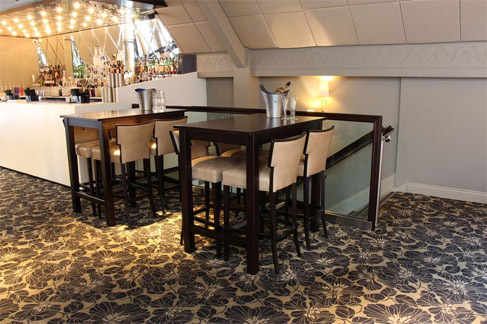 The upstairs private members bar called Opulenza is divided into different lavish, stunning areas which are available for private hire. The Opulenza Cube : a stunning, lit up table to place your drinks on while posing and dancing to the DJ's top tunes. Silenzo : A private , chic boothe to hide away and drink champagne to the early hours. El Grande and Elvanto: situated within the mezzanine level, a private area of plush sofas and tables for you to relax with friends but still have a great view of the bustling vibe downstairs! We couldn't believe our luck when Livello gave us full use of all of the private lounge bar upstairs with all these exclusive areas for speed daters to relax and enjoy a night of chatting and flirting in the most desirable venue in the city. Our next event is sold out for this month but we have more events planned for the next up and coming months - don't miss out on the opportuity to experience what most people would have to pay at least £300 for ! One of the many benefits of using Ditch or Date.